Learning how to cook tofu is not only essential to the vegan and vegetarian chef but also to any true foodie. Tofu is great in just about any dish and is a cinch to cook. Plus, tofu is a delicious source of protein that everyone can enjoy. 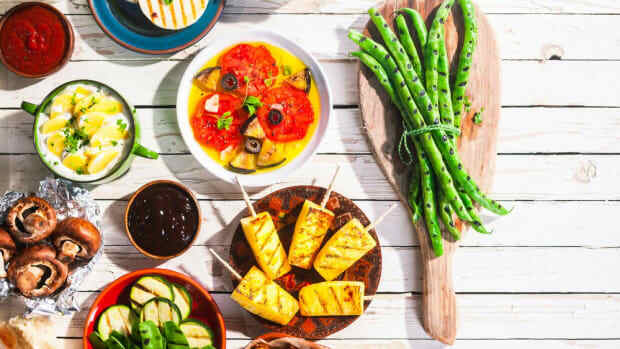 Depending on which type of tofu you use, tofu can be served in sauces, soups, salads, stir-fry, smoothies, and even on its own! The key to cooking tofu is to flavor it with seasonings and sauces that will complement your dish. Tofu is made from mature, white soybeans, not like green edamame which is at a different point of maturity. The soybeans are soaked, crushed, and then mixed with water to form a slurry. Then, the slurry is then strained into soymilk. Next, the soymilk is mixed with a coagulant such as nigiri, calcium sulfate, or glucono delta-lactone. Once the soymilk has been coagulated, curds form, much like the cheese-making process, which are then pressed into blocks. The longer it’s pressed, the firmer the resulting tofu is. Adding tofu to your diet is a great way to add protein and iron. But, when buying tofu precautions must be taken to make sure you are buying tofu that is all natural and free of pesticides. Soy is one of the top-three genetically modified crops in the U.S. When selecting tofu at the grocery store, look for the Non-GMO Project verification label. 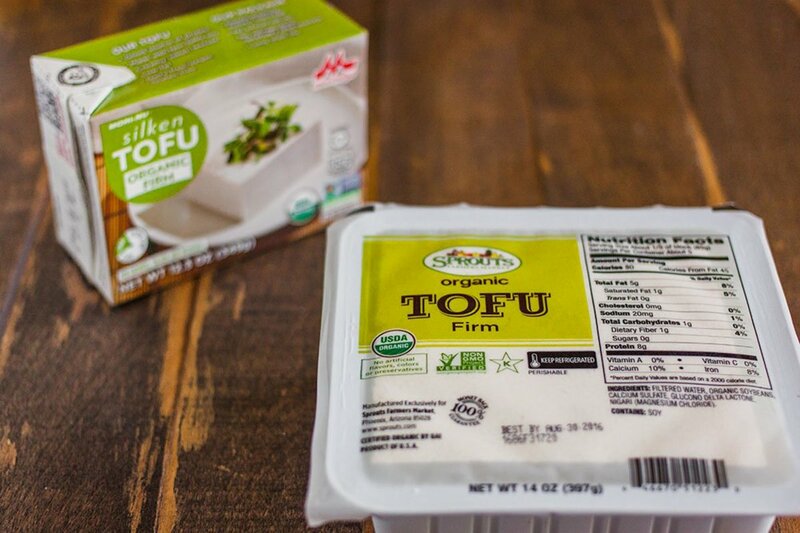 When you buy organic tofu, you are ensuring that the soybeans used to make the tofu weren&apos;t genetically modified or treated with harsh chemical herbicides or pesticides. Tofu is packed with valuable nutrients while maintaining a low-carb and low-calorie content. Half a cup of tofu contains 10 grams of protein, 43 percent of the DV calcium, 36 percent DV iron, and 150 mg potassium. Plus, it has just 94 calories and 2.3 grams of carbohydrates per half cup. The types of tofu range from soft to extra-firm. Each type of tofu has a unique texture and consistency making it important to know which is which to determine which suits your recipe best. Tofu is available both in shelf-stable form: silken tofu, or refrigerated form: cotton or block tofu. Silken tofu is unpressed which gives it its soft and silky texture and allows it to be shelf-stable. 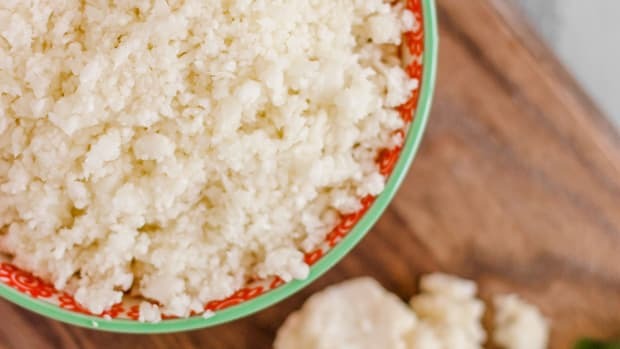 Silken tofu is great for making vegan sour cream, pudding, or other sauces and dips due to its blendable, creamy texture. 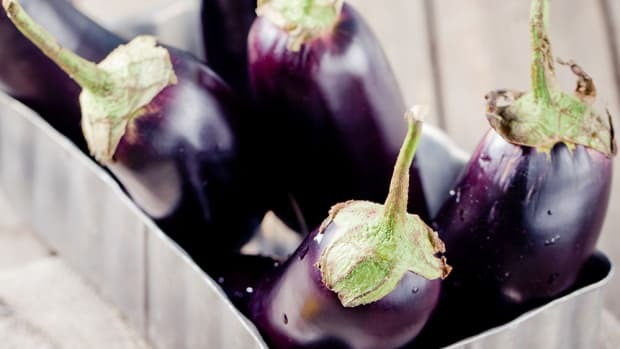 It can also be eaten raw on salads or served in soups. Soft tofu has a Jell-O like consistency and is very delicate. It’s pressed for the shortest amount of time leaving it with a high water content. 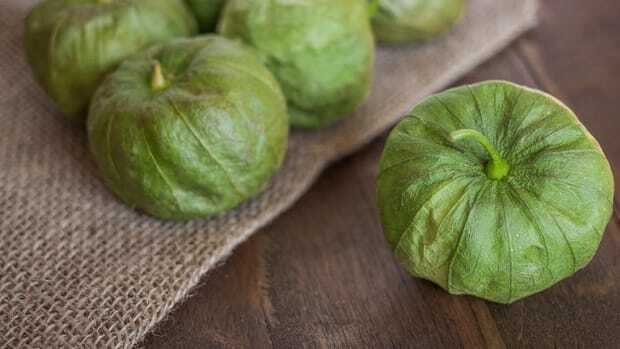 It crumbles easily so it’s best used in sauces, smoothies, or puddings like silken tofu. Medium-firm tofu is slightly softer than your average firm tofu. It’s great for crumbling and mixed with veggies or stuffed in a squash. Firm tofu is one of the most popular varieties of tofu. 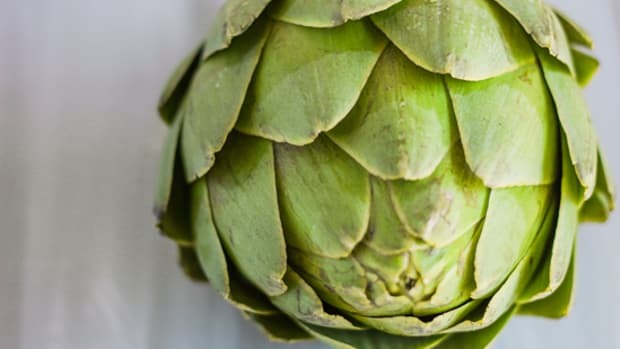 Its texture makes it great for just about any dish including stir-fry, tofu scramble, or curry. Extra-firm tofu holds up great when being chopped or handled. Its firmness makes it the perfect type of tofu for frying or making tofu-steaks. Most recipes will call for you to press the tofu. Pressing tofu removes the excess moisture which allows it to soak up more flavor. It&apos;s also essential to press tofu if you&apos;re planning on frying it so you don&apos;t get splattered with hot oil. 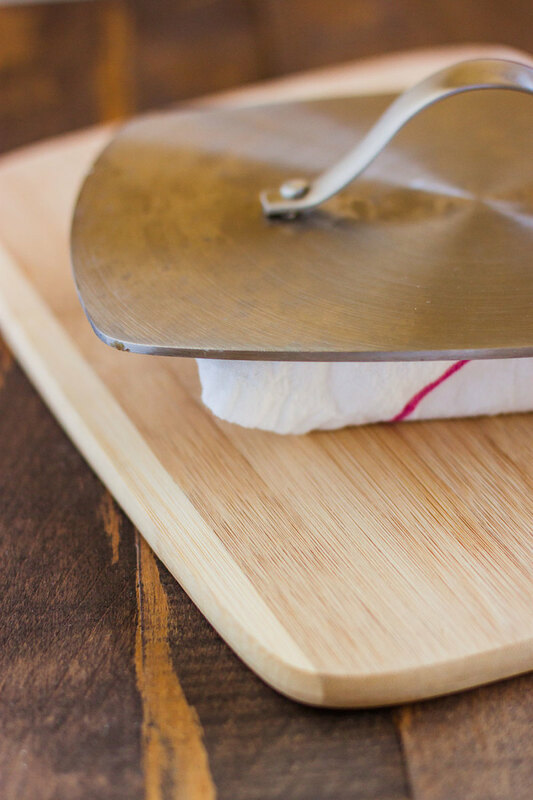 To press tofu, drain the package and wrap the tofu block in a tea towel or paper towels. Place a cast iron skillet or grill pan with the lid on top. Let sit for 15-30 minutes, depending on your recipe. Remove pan and unwrap. When using soft or medium-firm tofu, handle it very carefully as it breaks apart easily. Use a chef’s knife to cut into small blocks. For firm and extra-firm tofu, slice down the center horizontally widthwise. Then, place each half on top of one another and slice vertically and then horizontally forming cubes. 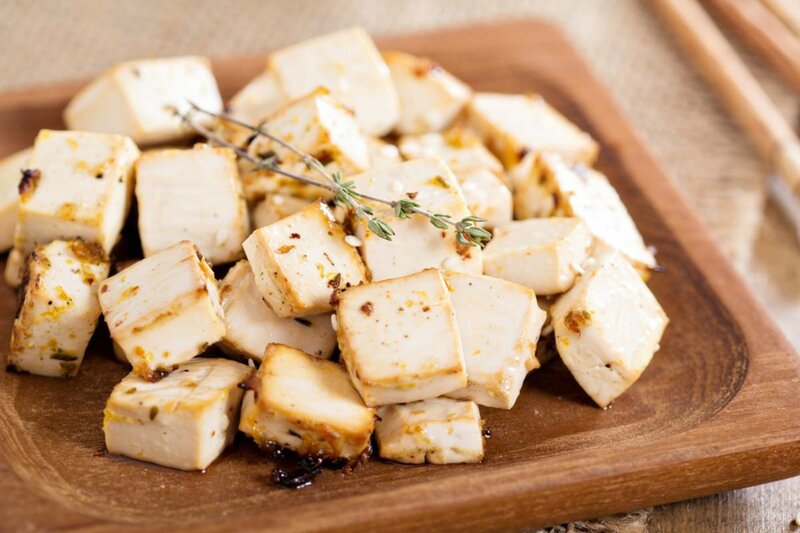 If you’re looking to add a lot of flavor to your tofu, marinating is a great way to do so. Simply chop or crumble tofu into a bowl. Add sauce and seasonings. Cover and place in the refrigerator. Marinate for 30 minutes or up to 8 hours. 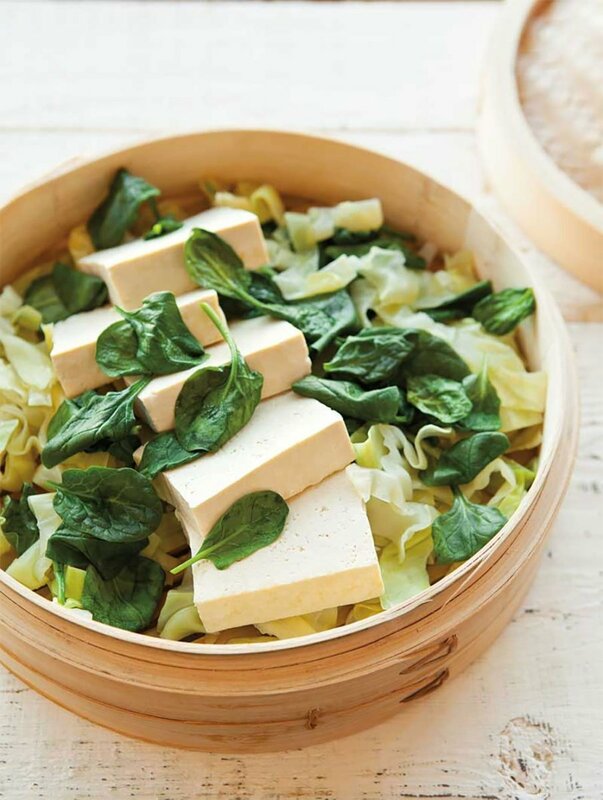 If your recipe calls for raw tofu, take precautions when shopping for tofu. 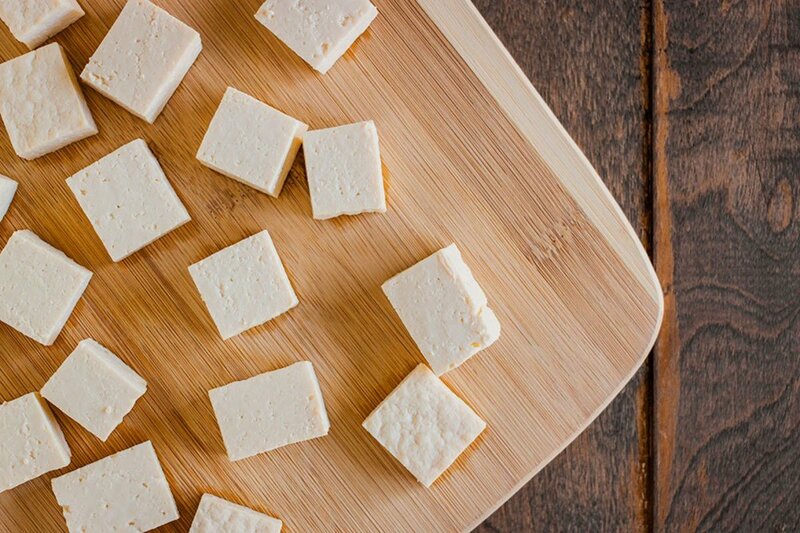 Shelf-stable tofu is safer to eat raw than refrigerated, water-packed tofu as it doesn’t contain the risk of waterborne bacteria. If using tofu raw, silken tofu is recommended. 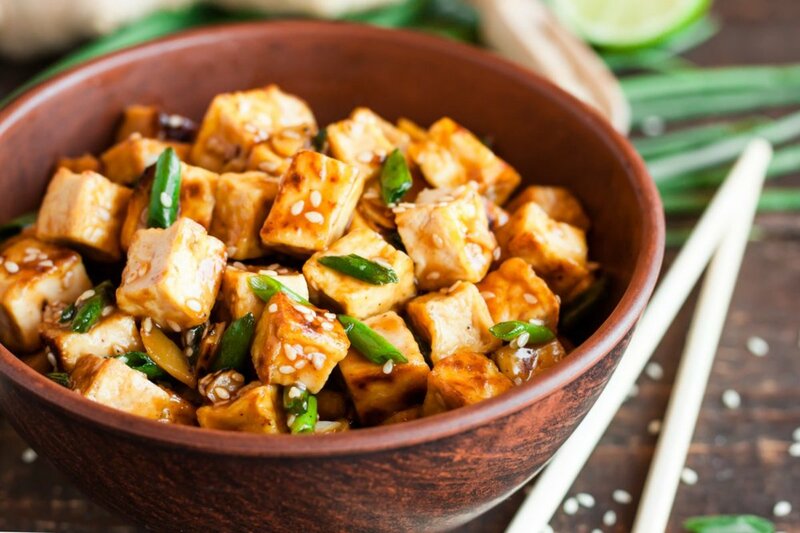 Simply chop silken tofu into cubes and serve on salad. Steaming tofu is a great way to make it safe for consumption in a recipe that doesn’t call for cooking tofu. 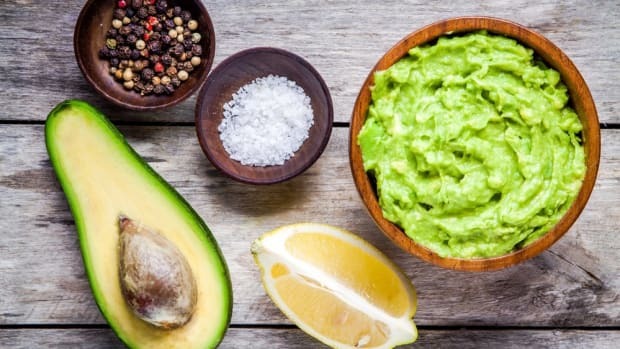 It will kill off any potential bacteria and also make it easier to digest. 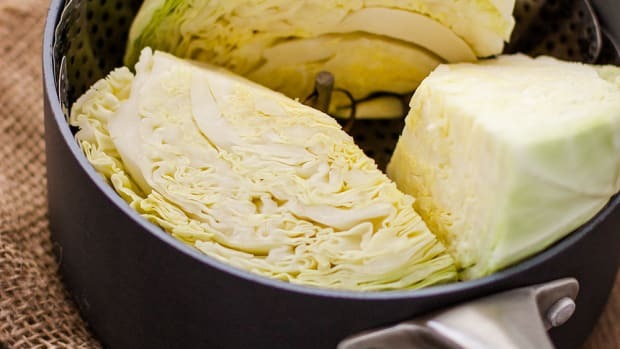 Fill a pot with enough water to reach the bottom of a steamer basket. Place over medium-high heat. Chop tofu into 4 long strips. Place in the basket, cover, and steam for 7 minutes. 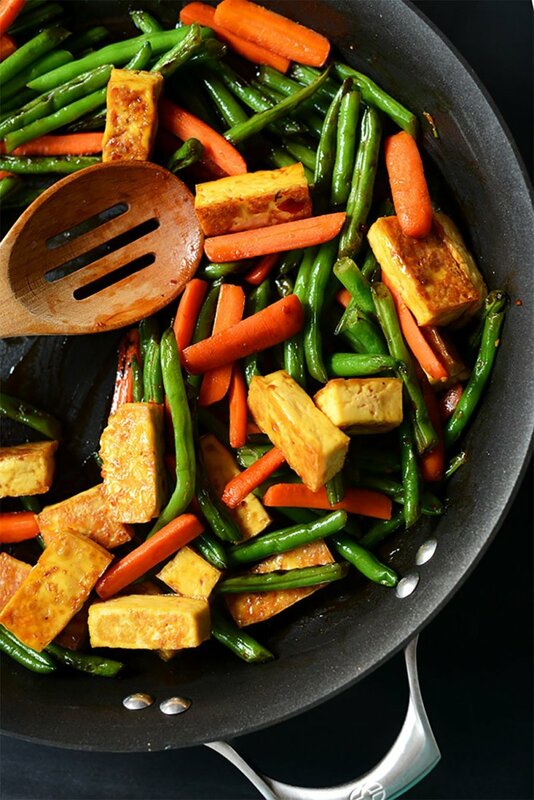 Sauteing or stir-frying tofu is the best way to add flavor and cook tofu quickly. Chop block of tofu into cubes and place into a bowl. Add desired sauce or seasoning. Let marinade for 30 minutes for extra flavor. Heat 2 tablespoons safflower oil or coconut oil over medium heat. Add tofu and saute for 8-10 minutes, stirring frequently. 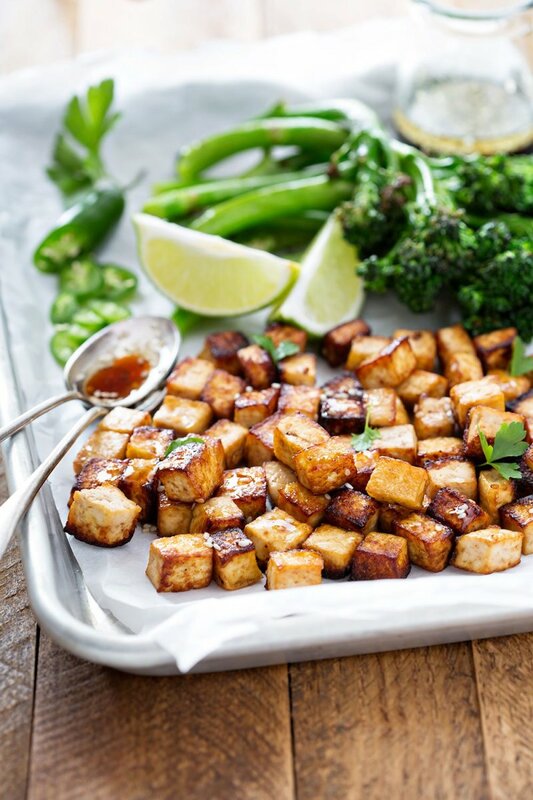 Frying tofu will give it a crispy exterior making it great for those who are reluctant to eat tofu. Press tofu before frying to ensure no splattering will occur. Cover the bottom of a deep skillet with enough high-heat cooking oil to coat the bottom of the whole pan. Cube tofu and then place into a bowl. Sprinkle 3 tablespoons of arrowroot powder or cornstarch, adding gradually and tossing as you do so. Sprinkle with ½ teaspoon of sea salt. Add tofu to the pan in an even, single layer. Flip once tofu is golden brown. Cook until all sides are lightly golden brown. Baking tofu can produce two different flavorful results. The first is a crispy, less-oily alternative to frying tofu while the second makes a delicious protein-rich meatless entree. Preheat the oven to 400 degrees Fahrenheit and then line a baking sheet with parchment paper or a baking mat. Press tofu and then chop into cubes. Place the chopped tofu in a bowl and add one tablespoon safflower or sunflower oil. 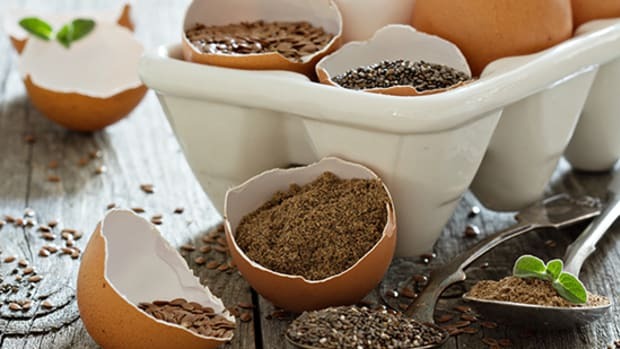 Sprinkle on one tablespoon of arrowroot and then ½ teaspoon sea salt. Toss until well coated. Evenly place tofu in a single layer on the baking sheet. Bake for 30 minutes, tossing halfway through. Cut one block of tofu in half widthwise. Cut again straight down the center of each half which will form 4 tofu-steaks. 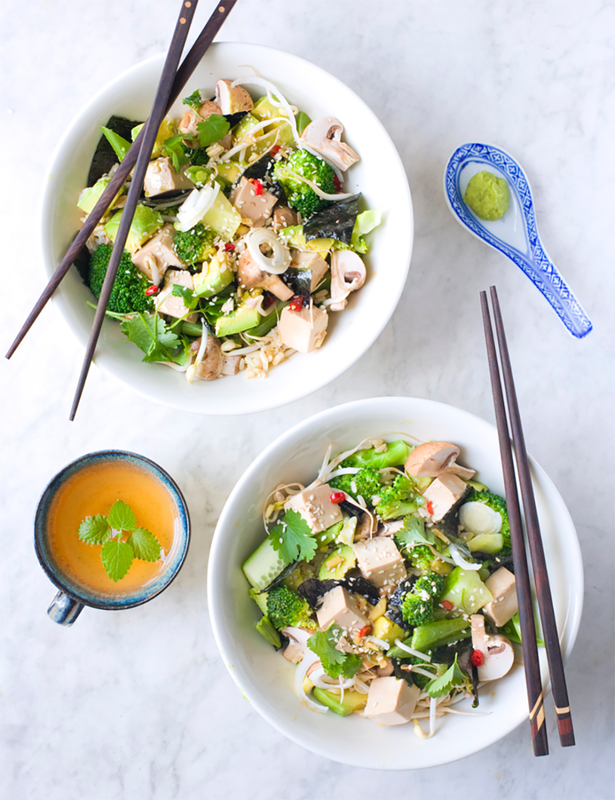 In a bowl, mix together ⅓ cup tamari, one tablespoon sesame oil, 2 tablespoons chopped fresh ginger, one garlic clove minced, and ¼ cup brown rice vinegar. Pour half of the sauce into an 8x6 baking dish and add tofu and cover with remaining marinade. Marinate for one hour. Preheat the oven to 375 degrees Fahrenheit. Drain half of the marinade from the baking dish. Bake for 30 minutes, flipping halfway through. Garnish with sliced green onions. 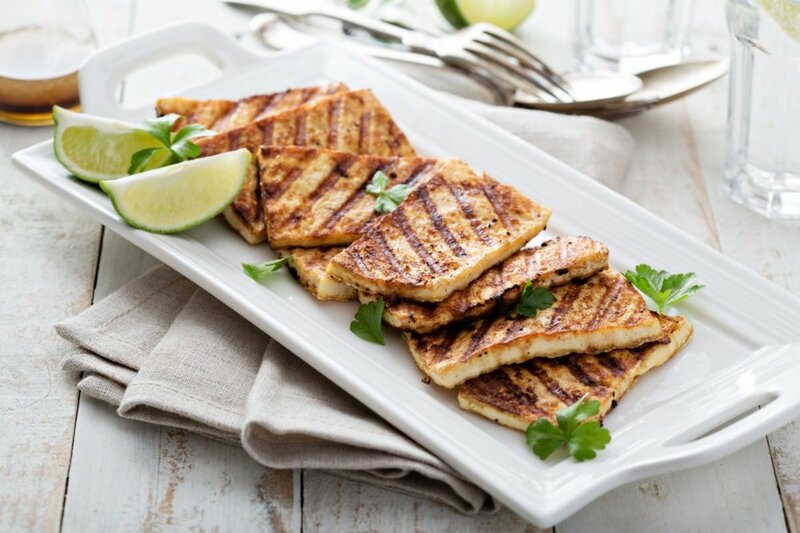 Grilling tofu is great for summer barbecues and picnics. To grill tofu, preheat a charcoal or gas grill. Alternatively, you can use a grill pan lightly greased with oil. Press extra-firm tofu for at least 30 minutes. Then, chop into long strips and add to the grill. Grill for about 5 minutes on each side, until light grill marks appear. Season as desired. 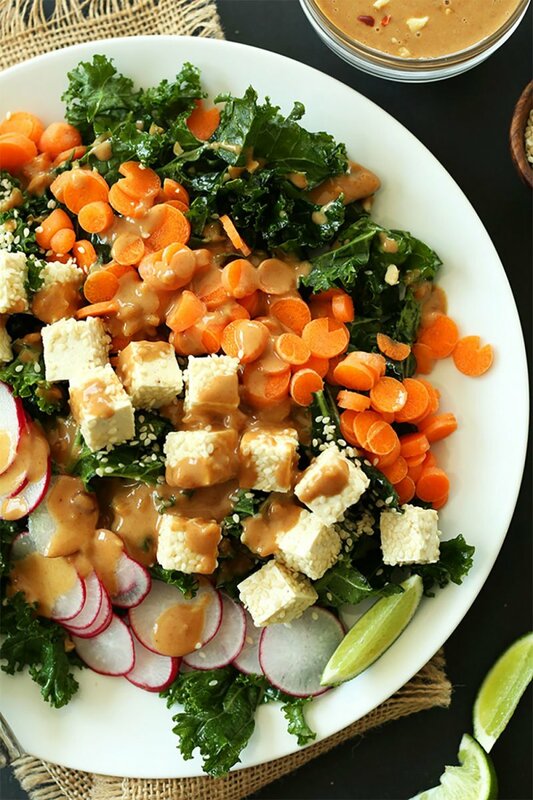 This refreshing healthy salad gets a protein boost from tofu cubes that are marinated in a flavorful ginger sauce. Hearty brown rice makes this salad plenty filling enough! 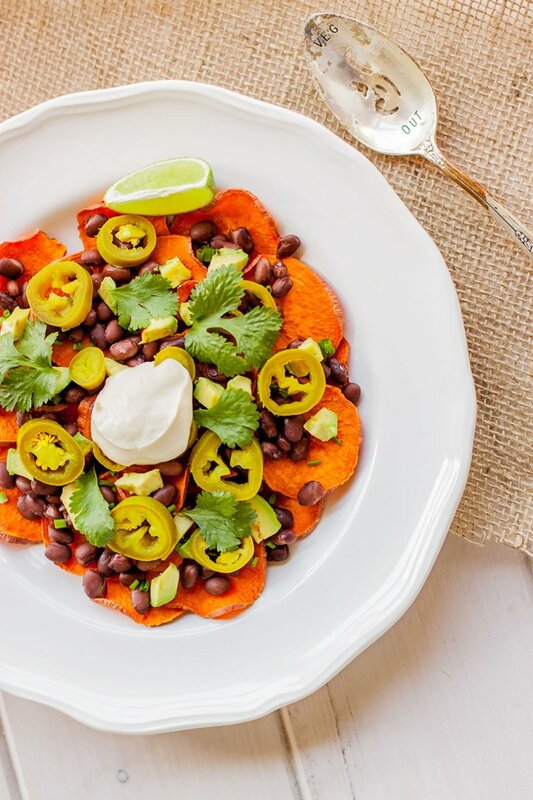 These nutritious nachos are loaded with plant-based protein with their sprinkling of black beans and a dollop of tofu sour cream. Silken tofu and lemon juice blend perfectly to form vegan, dairy-free sour cream. Crumbled tofu gets marinated in a chili tamari sauce that adds a subtle kick. 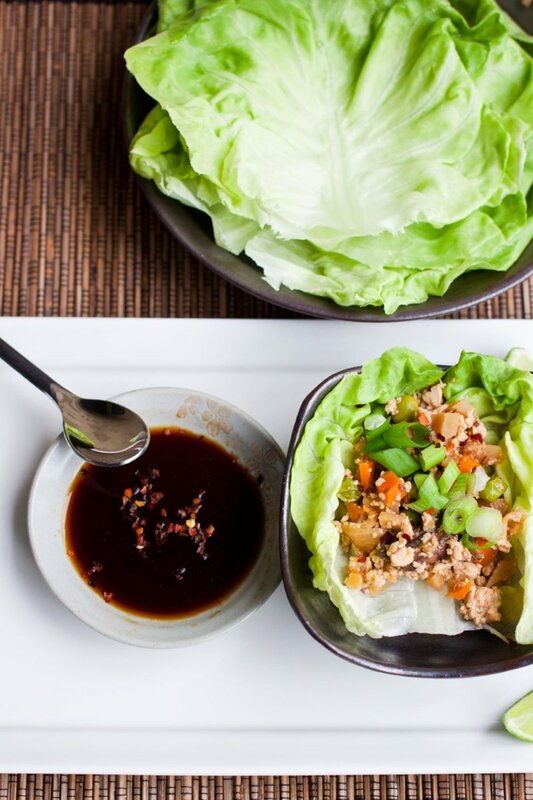 Served in butter leaf lettuce cups and topped with fresh green onion, this is an ideal healthy lunch for summer. 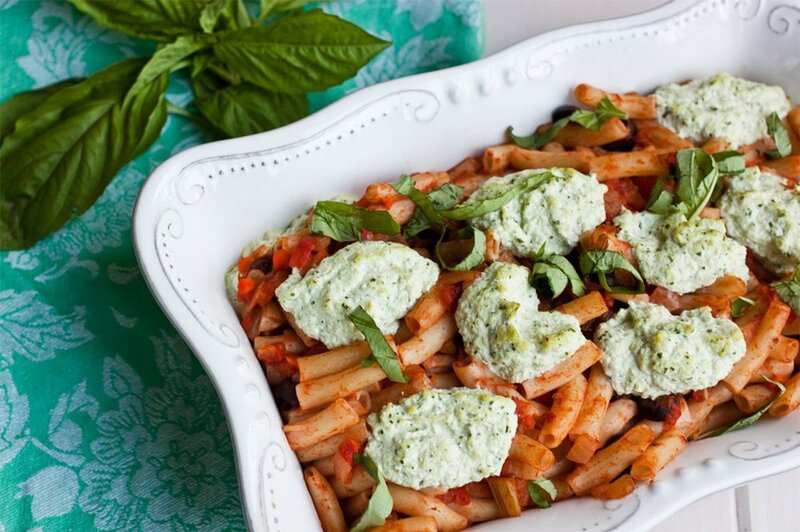 This vegan gluten-free baked ziti recipe uses tofu to form a delicious dairy-free ricotta cheese. Once whirled in the food processor with lemon juice and basil, the tofu will fool anyone into thinking it is dairy-based. This sesame orange ginger tofu will remind you of takeout from your favorite Asian restaurant. With a tangy orange sauce and a kick from fresh ginger, this tofu recipe is anything but bland.